Create identity for annual fundraiser based on theme selected by client. Parents, staff, and community members in Antioch Community High School's district. 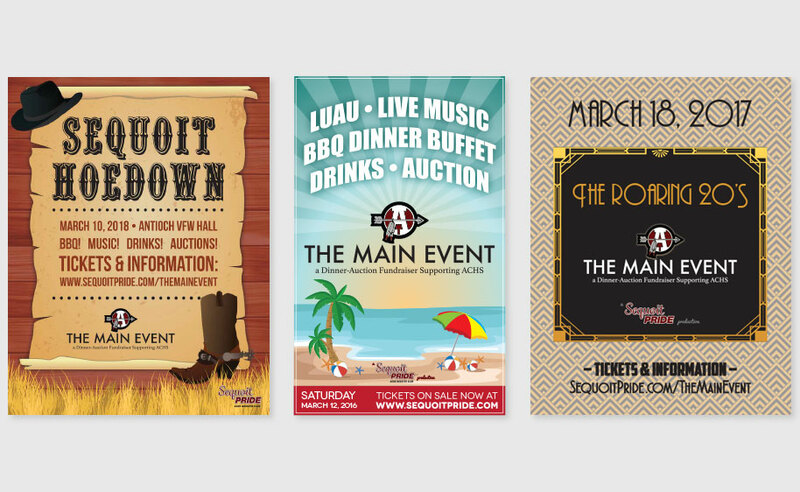 For a number of years, Cedarock designed a visual identity for the school booster club's largest annual fundraiser. Pro bono work.